Complimentary Dinner for All our Patrons. A Soulful Evening, Music of The Mystic for you all !!! Throughout his early tutelage of raaga, Tahir also immersed himself in the sacred sufi writings of Data Ganj-e-Buksh , Hazrat Amir Khusrau , Baba Bulleh Shah, Baba Ganj-e-Shakar, Shah Hussain, Khaja Ghulam Farid and others. 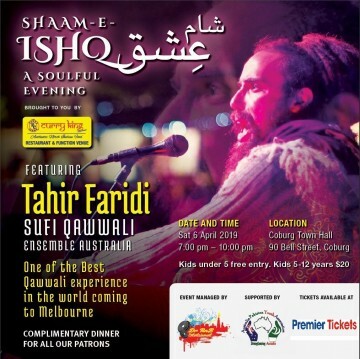 Because of these spiritual inspirations and his shahadat (initiation) into Tasawwuf (Sufism) by Sheikh Liben, Tahir’s path in music was quickly directed towards qawwali.Qawwali is the perfect marriage of classical raag & divine sufi passion.Tahir’s first formal training in the qawwali genre began in Ajmer Sharif where he and his musical companion Aminah Chishty enjoyed an extended stay at this important Indian sufi shrine. Under the wise hospitality of Ajmer’s great qawwal’s and sufi’s, dozens of the qawwali songs Tahir had transcribed up to this point were finally translated with a deeper clarity.’Beyond the literal translation of qawwali poetry, there is a profound world of spiritual & cultural metaphor which can take years to understand.’ Tahir. In 2001 Tahir Qawwal & Aminah Chishty first formed Fanna-Fi-Allah, a traditionally arranged qawwali ensemble devoted to spreading the sufi message in the West. Since this ensemble was created, Fanna-Fi-Allah has performed at hundreds of festivals, gatherings and concerts worldwide. Sharing the passionate power of qawwali in countries like the USA, India, Indonesia, Egypt and, of course, Pakistan.Through the years Tahir has been blessed to lead his group in repeated performances at some of the most honoured of Pakistan’s sufi shrines such as Data Sahib ( Lahore ), Baba Sahib ( Pak Pattan ), Kaliam Sharif ( Gujar Khan ), Baba Lasuri Shah ( Faislabad ), Baba Bulleh Shah ( Kasur ) and others. He has also performed in India at the famous sufi shrines of Hazrat Nizam-ud-Deen Aulia ( Delhi ), Ali Ahmad Sabir ( Kaliyar ), Hazrat Inayat Khan ( Delhi ), Khwaja Mueen-ud-Deen Chishty ( Ajmer ), Khwaja Qutub-ud-Deen Bakhtiyar ( Delhi ), Hazrat Amir Khusrau.May peace and love reign in the hearts of all who remember the great masters whom these shrines honour.Fanna-Fi-Allah was certainly the first ‘mostly’ white-skinned qawwali ensemble to sing at such highly regarded sufi centers. Also, Aminah Chishty was the first female qawwali tabla player even given permission to perform at such places where qawwali is traditionally only performed by males. Fanna-Fi-Allah has also included some eminent Pakistani qawwal’s in their ensemble such as Ustad Dildar Hussain Khan, Abrar Hussain, Israr Hussain, Soni Khan, Mehmood Khan & others within Pakistan as well as abroad. Tahir teaches and leads Fanna-Fi-Allah in the USA annually from June to November. http://www.fanna-fi-allah.com.’The dargah ( sufi shrine ) is where qawwali has been sung for hundreds of years, only within the past century has this music been regularly offered in other atmospheres. Within the dargah is where the qawwali spirit is most strong, so it is my humble duty and honor to offer my voice in devotion regularly at these sacred places.’ Tahir. Tahir Qawwal returns regularly to Pakistan for performances as well as to receive talim ( music instruction ) from his Ustad : Ustad Sher Ali Khan as well as from eminent mentors like Ustad Rahat Fateh Ali Khan, Ustad Muazzam Ali Khan & Ustad Ghulam Hassan Shaggan. Aminah Chishty is also very devoted to her tabla studies with her Ustad in Lahore Haji Dildar Hussain Khan.Even though qawwali is Tahir’s specialty, he also performs and studies many other musical genres from Pakistan/India such as Khayal, Kafi, Thumri, Dadra & Bhajan. His learning in these traditions comes from a decade of studies under his guru Pandit Pashupati Nath of Varanasi.’Classical music technique is at the heart of qawwali training, without the patience of my beloved guru in Varanasi and my Ustad in Faislabad, I would not be able to reproduce a single note.’ Tahir.Tahir Faridi’s performances within the traditional classical/semi-classical genre are offered internationally by his ensemble Sufi Soul Sangeet, which is made up of a classical tabla nawaz, an instrumentalist ( sarangi or Bansuri ) and his beloved wife Bhairavi Devi on support vocals. http://www.sufisoulsangeet.com. More recently Tahir has been touring annually from Feb to May in Australia with his ensemble known as the Tahir Faridi Qawwal & Party Aus. 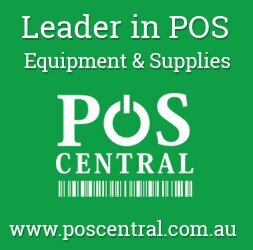 This Australia based group is comprised of seven qawwal’s from India, Pakistan & Afghanistan. Their aim is to bring traditional sufi qawwali to a country where such music is almost completely unheard of. http://www.tahirqawwal.com.Tabaruq Records is a music publishing company run by Tahir himself which features recordings by his three music projects as well as his teachers music recorded in Pakistan. 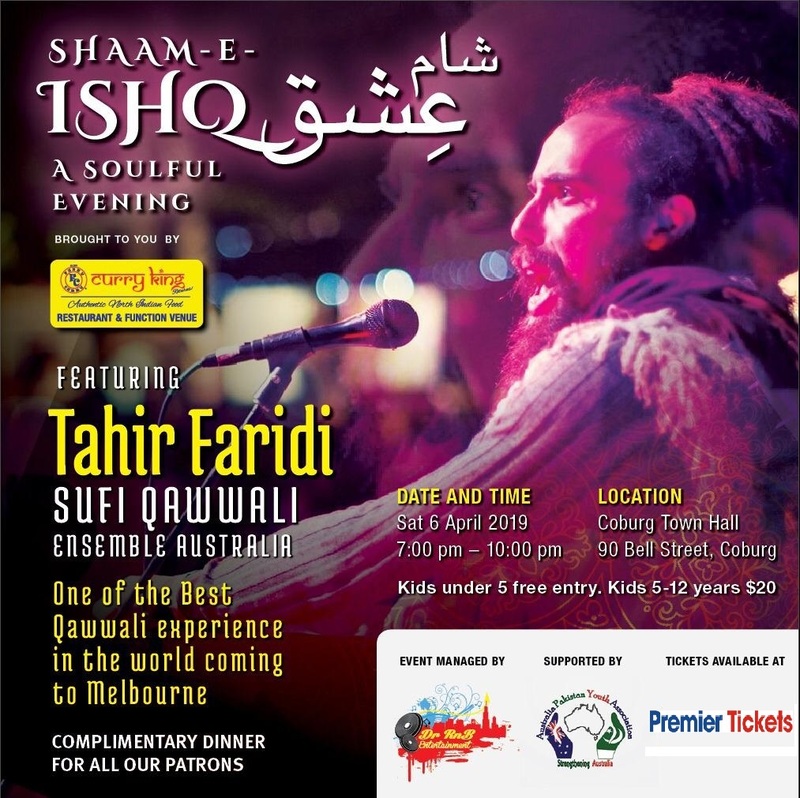 http://www.cdbaby.com/all/fannafiallah.’My greatest aspiration in this field of music is to locate every note in it’s true position and to use these notes in lifelong devotion to Allah.’ Tahir Hussain Faridi QawwalPremier Tickets is proud to support this event !! Kids under 5 years Free.